Is your plumbing ready for winter? As winter approaches, there are some things to worry about around your home. Are there clogged drains, leaky faucets, frozen pipes, water line breaks, or an overflowing septic tank?. Getting ready for the winter entails getting a 24-hour emergency plumbing provider. They understand the plumbing and can also be available whenever you are in need. Don’t get caught in the winter cold with problems that can be prevented by calling a qualified plumber. Our services include faucet repair, unclogging drains, as well as general repair, replacement and installation for residential or commercial buildings. Pipes in the kitchen and bathroom always run the risk of freezing and thus protecting such pipes can be a nice move during the winter. In case the pipe is already frozen, turn off the main water supply to reduce the risk of pipes bursting and call our professional plumbers. 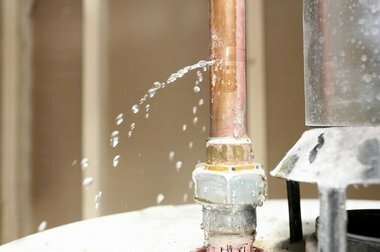 During winter, pipes tend to burst due to excessive pressure and thus knowing the exact location of main water valve around the home can help reduce time. You should always know where it is, should you need to turn it off in an emergency. Then Rite Rate will come in, assess the problem, and restore the plumbing. During times of deep freezing weather, the movement of water hinders freezing and eventual bursting of pipes. We don’t suggest running the water constantly, as it can raise your water bill! Only do this if you have noticed a problem and are waiting for Rite Rate to service your plumbing. During the winter, it is desirable to have access to a 24-hour emergency plumber since things can go wrong at any time. An emergency plumber helps greatly during times of extreme weather conditions such as deep freezing which can cause toilet clogging, bursts, leaks and a flooded basement. Rite Rate is available for emergency service and general plumbing maintenance to North New Jersey residents and commercial businesses. 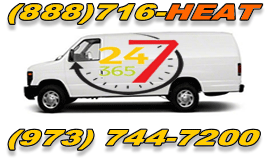 Call us as soon as you know you have a plumbing problem that needs repair!